Millennials are ranked as the most environmentally conscious generation. According to Sustainable Brands, studies have shown we are more likely to support stricter environmental laws and to pay more for responsibly made products. So as we transition into higher standards of our environmental impact, it’s important to pay attention to your light bulbs. Due to the passing of the Energy Independence and Security Act, you can no longer purchase the same old incandescent light bulbs. It’s easy to stare at a row of light bulbs and get overwhelmed by unknown terms and occasionally higher pricing. Here’s a guide to everything you need to know about updating your light bulbs. LED (Light-Emitting Diode) light bulbs save 85% more energy compared to the incandescents you started with and will last up to 25x longer. 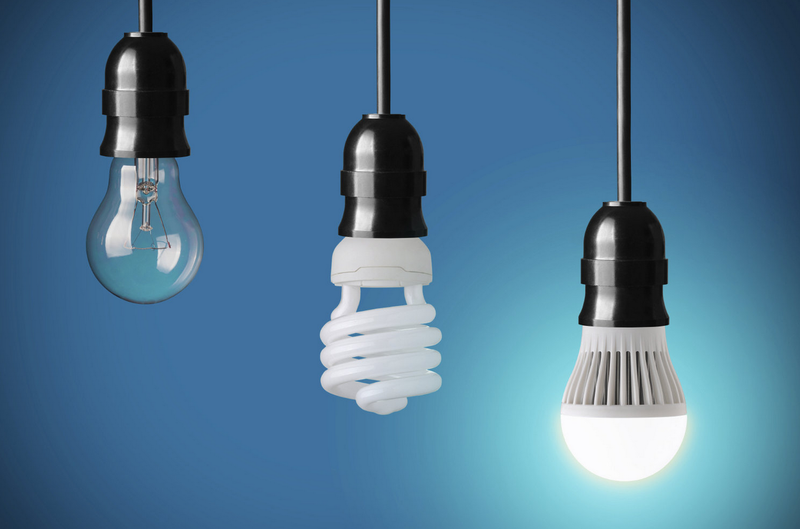 CFL (Compact Fluorescent) light bulbs save 75% more energy and last up to 10x longer. Wattage indicates how much power a bulb consumes, so sticking with a 60W-75W should be all you need. LED come with a higher price tag, ranging between $3.75 and $10 each but buying bulk packs at Costco or Sam’s Club can cut your costs. CFL bulbs are much closer in cost to the light bulbs we’ve been using for decades, under $1 each. Several brands sell excellent light bulbs. 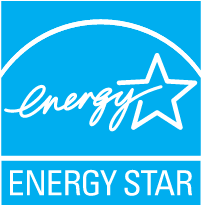 However, it’s important to look for the ENERGY STAR logo on the packaging to ensure your light bulb meets energy efficient guidelines. We are always here to help you make smart decisions for your home so please don’t hesitate to contact us with any questions. If Americans switched to LED or CFL lightbulbs with this logo, we would save close to $700 million per year in energy costs. Light bulbs may be small but with the average American home having 40 light bulb sockets, it can add up to a big environmental impact.